It's official: I have hit the stage in pregnancy where I neither want to or physically can bend down to buckle, tie or adjust my shoes (commonly known as the third trimester). With my first pregnancy, my feet grew a half size and stayed that way, even after the swelling went down, so I'm expecting some growth this time around, too. Growth or no growth, the time to wrestle into a pair of shoes is long gone so I'm only wearing slip on flat sandals from here to delivery day. I snagged this pair of sandals at Target the other day and they were a hit on my Instagram (plus, they're a great dupe for a more expensive Nordstrom pair! ), so I thought I would round up my current faves from around the web. Without a doubt, this pair will be headed my way thanks to the price point and amazing texture - but if I were sure my feet were going to stay the dainty size 9.5 that they currently are, I would absolutely invest in this neutral pair. And with that, I'm off to get a pedicure because these toes are so not sandal ready. I love all these picks! My problem with slip ons is that they always slip off. I'm always leaving them behind or on a stair. I'm not cool enough to walk around with unrestrained shoes hehe. I love all of these! 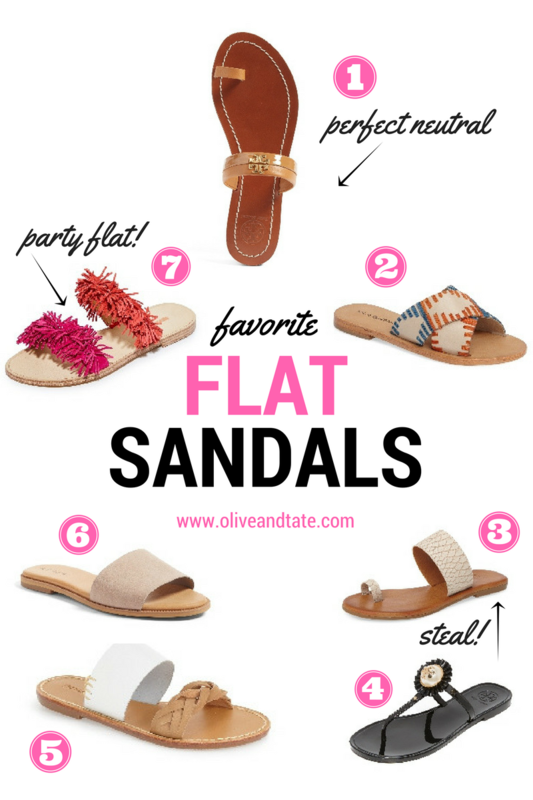 Sandals are my love language!